Any good pie has to start with a great crust. Recipes are as simple as they come: flour, salt, icewater and fat. But which fat you use depends on what you’re after, and what you’re willing to put up with. Short story: Shortening makes a crust easier to work with and adds flakiness. Butter is important for flavor, but makes the dough a bit more persnickety. Lots of recipes split the difference, using half shortening and half butter. So experiment and try what works for you. You can mix pie dough in a food processor or by hand. I have been converted into a make-it-by-hand gal, thanks to Ron Silver of Bubby’s restaurant, who’s big on feeling the dough as you add the icewater. To do it by hand, this is how I like to proceed: Cut your butter into half-inch pieces, and put it into the freezer for the few minutes it takes to do the rest of the prep. Measure out your water and put a few ice cubes in so it can chill. Measure out your flour and salt and put them in a bowl that’s big enough to move things around in comfortably (including both hands). Mix the flour and salt. Add half of the butter pieces. Stir so they are coated with flour. Using a pastry cutter or your hands, cut the butter into the flour-salt mixture until it’s about the size of peas, with some pieces closer to almond-size. Add the rest of the butter, and cut it in the same way. Resist the urge to cut the butter into small pieces; you want chunks to melt and create those air pockets that make a flaky crust. Once the butter is cut in, drizzle the first bit of water on the dough, using a fork or the fingers of both hands to toss–very lightly and quickly, from the bottom of the bowl–the dough. Drizzle a little more and toss some more, incorporating the water into the dough. Keep the light-and-quick in mind. When half or two-thirds of the water has been added, squeeze a bit of the dough to see if it hangs together. If it does, forget the rest of the water. If it doesn’t, add more until the dough clumps for you. Once it clumps, gather the dough into a ball, squeezing and working it for a few seconds, so that it is not a crumbly mess but a nice pliable ball of dough. If you’re making one crust, shape it into one disk and wrap it in wax paper. If you’re making a lattice, bigger-pan or double-crust batch, divide the dough into two disks, one slightly larger than the other. (The bigger one will be your bottom crust.) Wrap the disks in wax paper and refrigerate for at least 30 minutes. You can leave them overnight, but if you do that, you’ll need to give them some warm-up time before rolling them out. 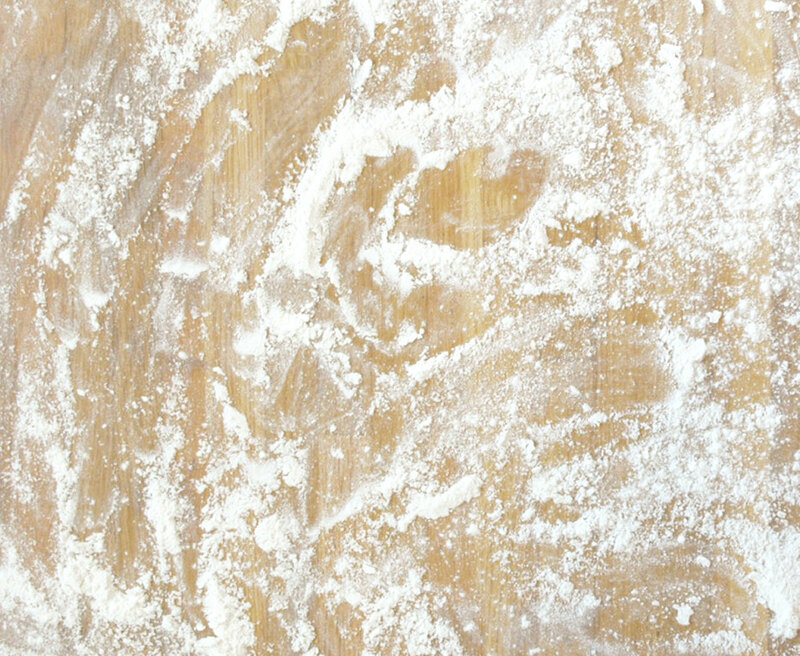 When it’s time to roll out your dough, dust your rolling pin, hands, disk of pie dough, and work surface with flour. Roll the bottom crust into a circle big enough that it will cover your pie pan’s sides and lap over at least 1 inch all the way around. The top crust can be smaller: just big enough to fit over the top of the pie and roll under the bottom crust. Where you go from here will, of course, depend on what kind of pie you are making. For pies that don’t require any pre-baking of the crust, you will move into filling and finishing your pie, and popping the whole luscious thing into the oven. 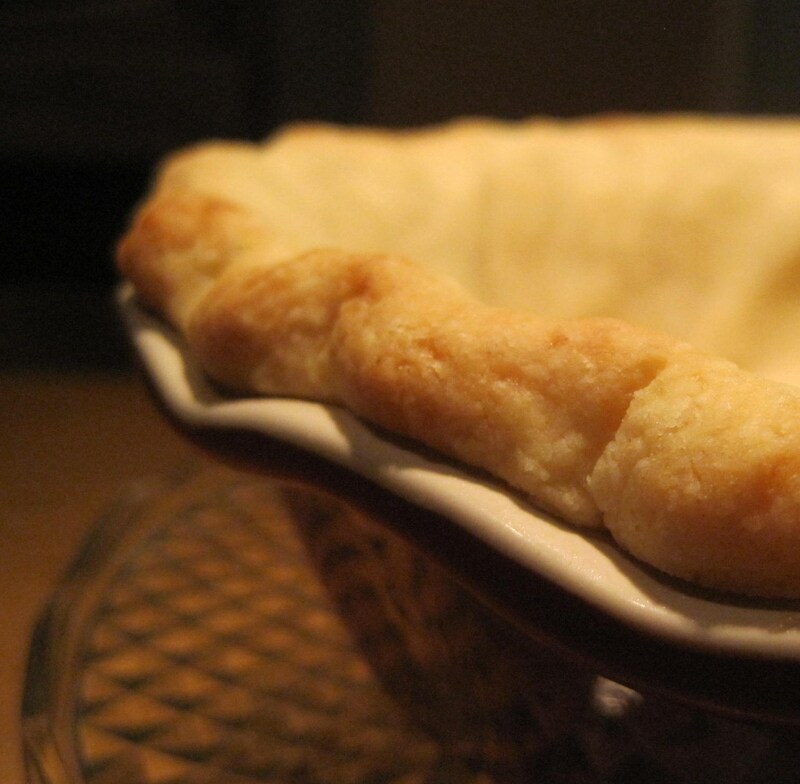 To par-bake, put the weighted pie crust in a 450-degree oven for 15 to 20 minutes. Remove it from the oven, and take out the parchment and beans (or the pan of beans). Let the pie crust cool on a wire rack. To blind-bake, do all the steps involved in par-baking. But instead of letting the pie crust cool, reduce the oven heat to 375 degrees and bake the pie crust for about 10 minutes more, until golden. Pie is one of my favorite desserts to make and I actually enjoy the risk involved in making the pie crust, not to thin, not to thick, not to much moisture, there are so many variables! You mentioned that you use all butter for the flavor even though shortening adds flakiness. What are your thoughts on using butter flavored crisco? Hi, Courtney! Thanks for asking about this. I'm no purist, so I am not opposed to shortening. I will be experimenting with butter-and-shortening blends, and blogging more about it. I have used butter-flavored Crisco, but something about the idea of it makes me wrinkle up my nose. :-) So I will probably stick with straight-ahead shortening, even though it's no more virtuous. None of these fats are virtuous! I am also going to write about a vodka piecrust, which I used last night (originally from Cook's Illustrated). Stay tuned and keep reading & commenting! Tell us about what you are baking!